Players can participate in online gambling from just about any device today. It is possible to place bets on sports, politics, which film wins the Best Picture at the Oscars, who will be the next president or even which celebrity couple will marry or break up soon, and it also includes the Nintendo DS at DSIGames. You start off with a tiny bankroll at Sega Casino and your main goal is to unlock your path to the smoke-filled exclusive rooms where high rollers place big stacks of chips on a variety of games. Do you feel up to the challenge? Then grab your stylus, and start making some series cash. It's important to remember that anything added to your DS remains on it and when you first join Sega Casino as a new player you will be limited to only a small variety of games. While only smaller bets can be placed at first, games available for newbies include craps, roulette and Texas Hold'em. As players progress more games such as video poker and keno is added and could even include Seven Card Stud poker. Players who are new to Sega Casino have nothing to worry about as each game offers a brief set of how to play instructions. Most games are easy to understand and offer basic play, while card games offer the most significant wins and are also the easiest to get used to. By winning more money players unlock a larger variety of games and entrance is available to tables accepting higher stakes. While the casino is far from being shortlisted for its graphics and sound, Sega Casino offers games well worth playing and once you find someone to compete against, games are so much more exciting. While players find the single player games a bit dull, the multiplayer games are super exciting. By playing from your stylus bets can be placed in order to beat the house. Players are also able to use the directional pad or any combination thereof and controls are easily picked up and even a grandparent could effortlessly figure out most games. The best feature remained the multiplayer games offered at Sega Casino and for players, who can manage to line up several keen friends, playing becomes an exciting event and winnings are great in some of the gambling games, while it's perfectly legal. You can beat the computer most of the time with a good bluff in the card games and them in return cheat you out of most of your money in the other games. In reality it might be more pleasing to pick up a deck of cards and some dice or maybe there's is genuinely no way to imitate the feeling of winning a $10,000 pot in Texas Hold'em since you do not feel the same enthralling rush, with digital cards, what was also lacking before 2009 was lucrative bonus incentives. The sega-version isn't as robust as the Golden Nugget's Nintendo DSI casino game, but it's a still a fun game. This all changed in 2009 when Sega was granted an online gaming license by the Alderney Gambling Control Commission. Sega Casino DC games became a lot more interesting once players could play for real money. When it comes to assessment in 2017 the best Sega game is obvious the same choices for most buffs and there is hardly a game that can compete with Hedgehog, Sonic. Since the original version, SEGA has reached record figures and sold over 140 million games. In 1994 Poker Face Paul were released to provide poker players with gaming enjoyment on Sega handheld devices. Games at the time also included Solitaire, Poker, Gin, and Blackjack. The early 90s got Sega hooked on licensed video games and games based on superstars such as Joe Montana Arnold Palmer and Bill Walsh. 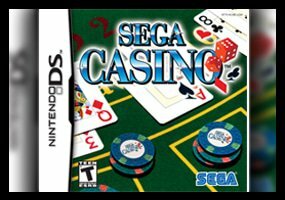 The best place to buy a Sega Casino Nintendo DS from is Amazon and currently, it retails at $15.60 if you decide to buy new, while the used version is available at $1,66 for the original version that offers five games, six unlockable games and allows up to four players. Other versions available include the 18 Classic Card Games selling at $9,00 or the 50 Plus Classic Games at a prize of $19,99. Amazon.com offers online shoppers the opportunity to shop with points, and you're next purchased could be paid for by cashback points. Registering for the cashback bonus requires online shoppers to sign into their Amazon accounts, link their Discover cards and start earning cashback bonuses. The website also offers rewards via Visa signature card and no annual credit card fees is charged. Upon credit card approval shoppers get a free $50 Amazon gift card, get rewarded a 3% back bonus for every single purchased. 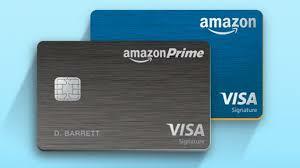 Amazon Visa Card points also offer a 2% back bonus at drugstores, restaurants and gas stations. Every 100 points collected is equal in value to $1.00 and there are no earning or point limits. Points accumulated do not expire and remain on card member's cards until it is used. Cardholders may also apply any eligible promotional coupons to orders paid using Cashback Bonus. Cashback bonuses can only be used towards online orders and any purchased via phone will not qualify. A look through the current options available at top rated online sites like VideoSlots, players have access to well over 500 casino games, caters for mobile users, and members enjoy secure payments while gaming guides make it easier for beginners. Even if Sega would have pursued things this far the opportunity existed only because of Sega Casino. At the time it seemed harmless although it was essentially a sneaky test to finding out if it delivering an online casino experience would become the next big trend.